International Book Giving Day--14 February--is a day dedicated to getting new, used and borrowed books in the hands of as many children as possible. 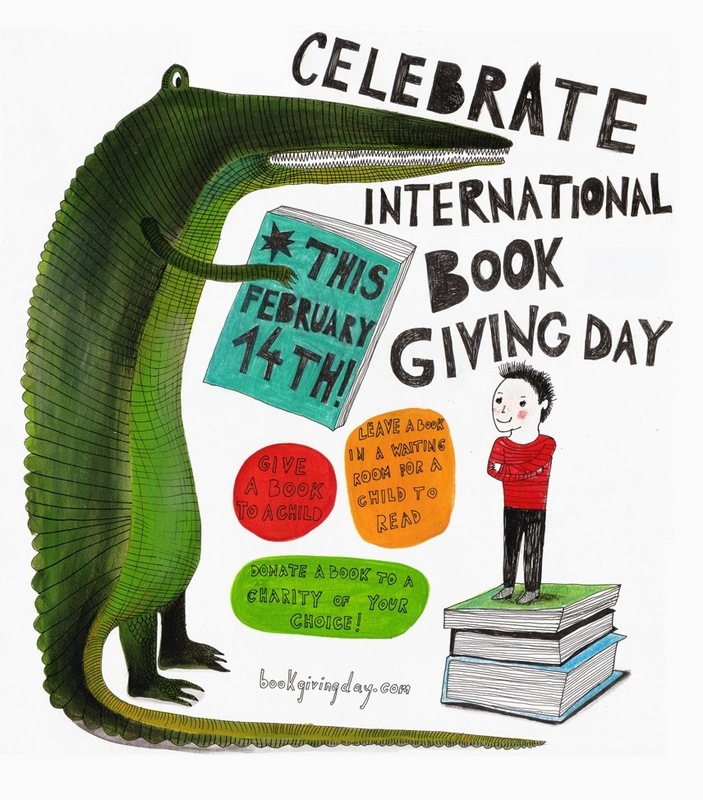 Here are some simple ways to celebrate International Book Giving Day! Our favourite way to give a book is to leave one anywhere, in public, with a note saying "Today is International Book Giving Day. This book is for you. If you like it, consider leaving a book you've loved for someone else to find. Happy reading!" Head to the website now to pledge how YOU will be giving or donating books this Feb 14th.